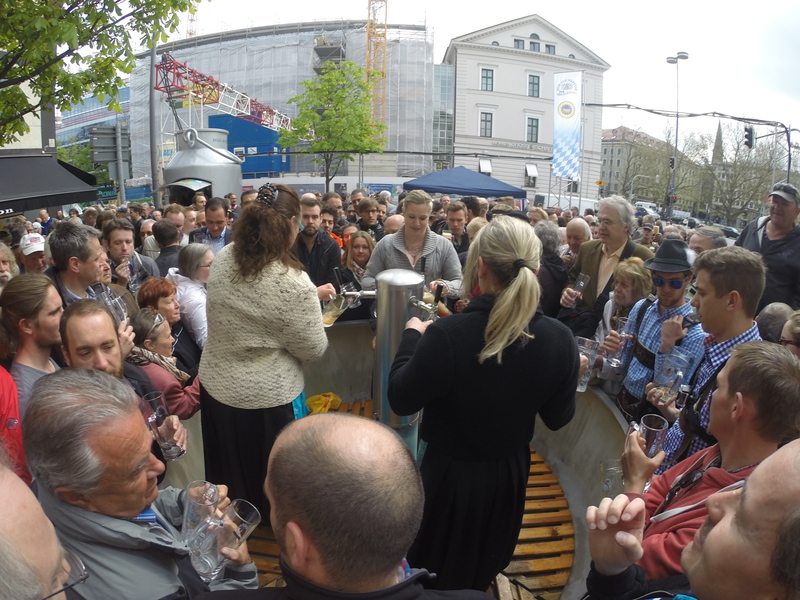 Last April 23rd was the “Tag des Bayerischen Bieres“, the day where Bavarians and Bavarian brewers celebrate one of the oldest laws still in use ! The original “Reinheitsgebot“, or German Beer Purity Law, officially started being in use in the duchy of Bavaria when, on 23 April 1516 it was endorsed officilly by Duke Wilhelm IV of Bavaria. The law, to this day, states that the beer is to be brewed using only 4 ingredients. Water, Barley and Hops. While the law was modified to add yeast and other ingredients over time, it is still celebrated to this day and many breweries still abide by it brewing only using the 3 original ingredients and a bit of yeast. It started quite simple. 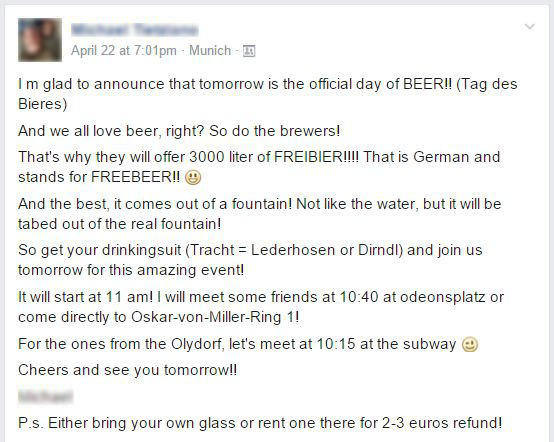 A nameless event on Facebook where a bunch of the past and current international students of my Hochschule were invited, with for only guidance the order to keep the day free. We arrived early morning. I had met up with an exchange student from Turkey, Damla, to hand her one of my multiple Maß (The huge 1 liter beer steins they use in Bavaria). We then quickly headed to the right place. A different kind of BYOB event; Bring your own bock, the beer is on the brewers dime! Meeting the other lederhosen clad lads we waited not so patiently in the crowd that was slowly but surely getting denser by the minute. Carefully surrounding the taps installed in the middle of the tiny plaza. The queen of Bavaria and Queen of hops, surrounded by cameras, waiting patiently to start serving the Bavarian nectar. Most of us hadn’t eaten breakfast yet. We all figured, with the German purity law, two liters of beer are like a whoe bread loaf after all ? Hours later, a few liters more in the belly, I raced to the tap in order to try and get some more of the precious liquid. Maybe I should get some Dunklesbier this time ? The queen of hops has been replaced by regular servers !! 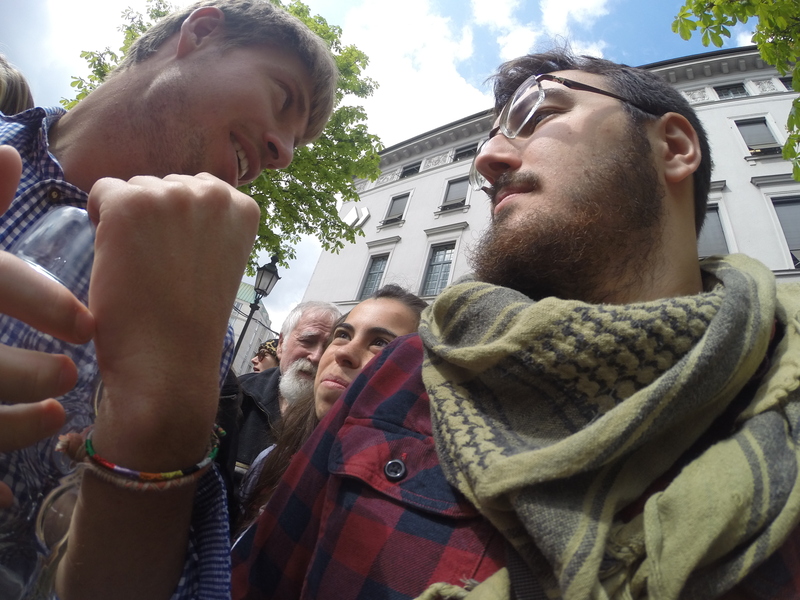 Then, to make it even better, we headed to the Spring festival, to finish the day off! Get up – get to drinking venue – drink – drink more (it’s free) – change venues – drink again, go home. Bayerische Donnerstag ! 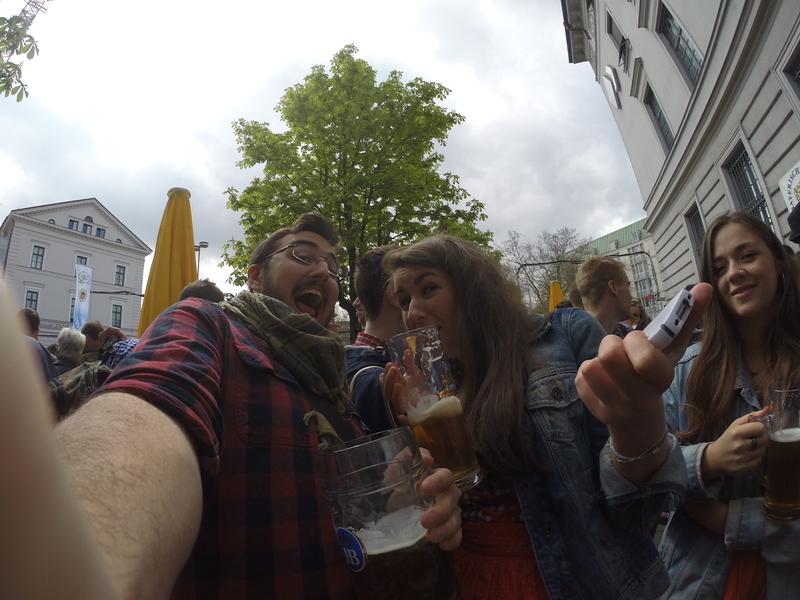 – Bavarian Thursday ! If you are in Munich in April 2016, do not miss it for the world. Half a Millennium of good beer!